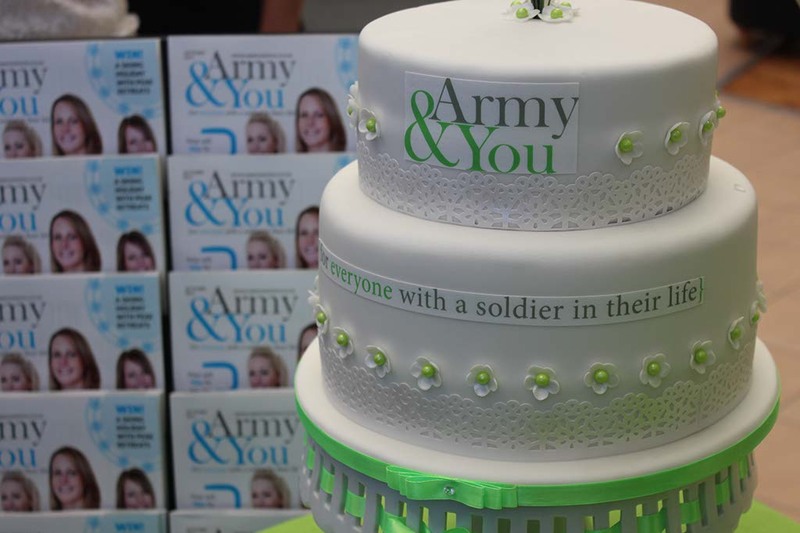 Army&You, AFF’s new magazine ‘for everyone with a soldier in their life’ was celebrated with a launch party here at AFF HQ in Andover – and something so significant for AFF couldn’t have gone by without a piece of gorgeous cake! 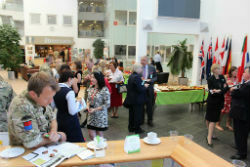 The event was attended by Major General Nitsch, Major General Nugee, Lieutenant General Berragan, Lieutenant General and Lady Bradshaw, Services charities, HIVE and many more. 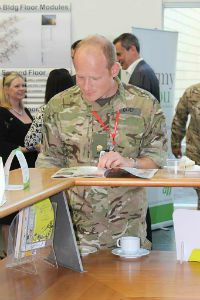 We also had media coverage from BFBS Radio. 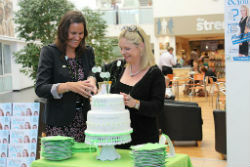 This party couldn’t have been successful without the generosity of Red Lion Foods who paid for the wonderful cake, decorated in the A&Y colours, made by the lovely Helen at Slice of Heaven. Aramark who also generously supplied the delicious buffet and drinks, and John at Nursery Fresh, who donated two bunches of stunning flowers to present to Charlotte and Lisa. AFF is extremely grateful for your continued support. With Army&You also available digitally via our brand new website www.armyandyou.co.uk, many of you have already been reading it online; with 15,000 people logging on in the first three days from 25 countries around the world. Army&You also has nearly 500 followers on Twitter in less than a month @armyandyou. If that is not something to celebrate we don’t know what is.